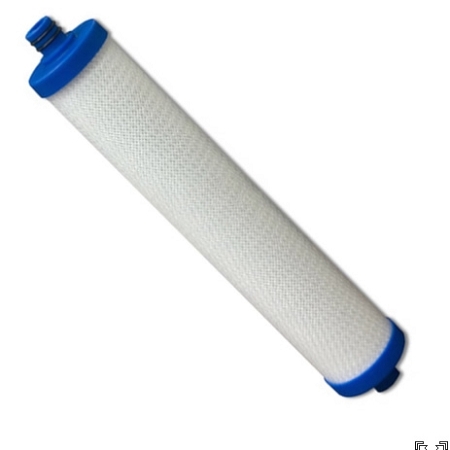 Hydrotech Reverse Osmosis Drinking Water Systems combine mechanical filtration with reverse osmosis technology for effective water treatment in point-of-use applications. These models are equipped with the patented Smartap Push Button Monitor, which compares the feed water to the product water to determine water quality performance. The Smartap Push Button Monitor is activated at the touch of the button. 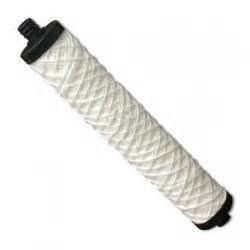 In addition, these models include standard features such a Thin Film Composite membrane, sediment filter, pre-activated carbon filter, post carbon filter, automatic shutoff, chrome air gap faucet and a metal storage tank. 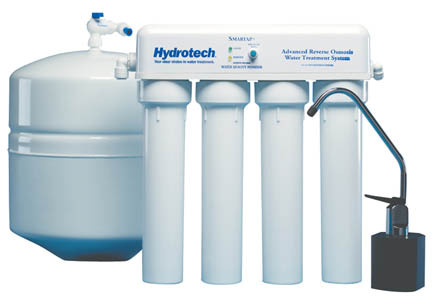 The 4VTFC75G-PB, 4VTFC50G-PB, 4VTFC25G-PB and 4VTFC9G-PB Hydrotech Reverse Osmosis Drinking Water Systems combine mechanical filtration with reverse osmosis technology for effective water treatment in point-of-use applications. These models are equipped with the patented Smartap Push Button Monitor, which compares the feed water to the product water to determine water quality performance. The Smartap Push Button Monitor is activated at the touch of a button.